This 3 hole cylinder display is made of durable bamboo. 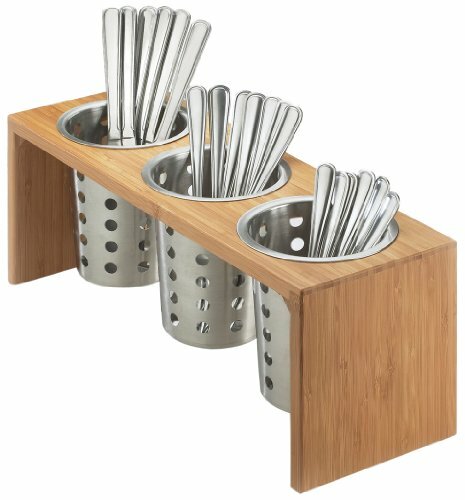 Perfect for displaying a variety of items such as flatware, packets, or condiments. Cal-Mil 1017 Cylinders are sold separately, and are available in a variety of colors and materials, such as melamine and stainless steel.